Behind the time-tested battle armor of Bumblebee is more than meets the eye. Behind the time-tested battle armor of Bumblebee is more than meets the eye. Rock 'n roll out with Bumblebee as the beloved Autobot gets a movie of his own. 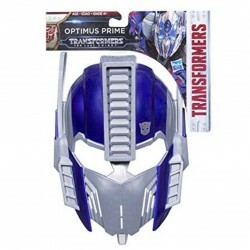 Optimus Prime has faced the strongest warriors across the universe and earned his place as the leader of the Autobots. With powerful skills and unyielding force, he inspires the Autobots to turn the tide against the Decepticons. Join the buzz with the Transformers: Bumblebee -- Optimus Prime mask and imagine becoming the legendary Autobot leader. Mask is designed with movie-inspired details and easily adjustable straps for a comfortable fit. Don the mask and unleash the power within. 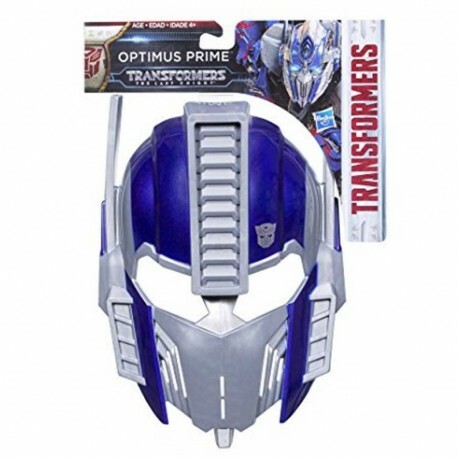 • Includes Transformers: Bumblebee -- Optimus Prime Mask and on-box instructions.